This hearing accessible standard room features two double beds. 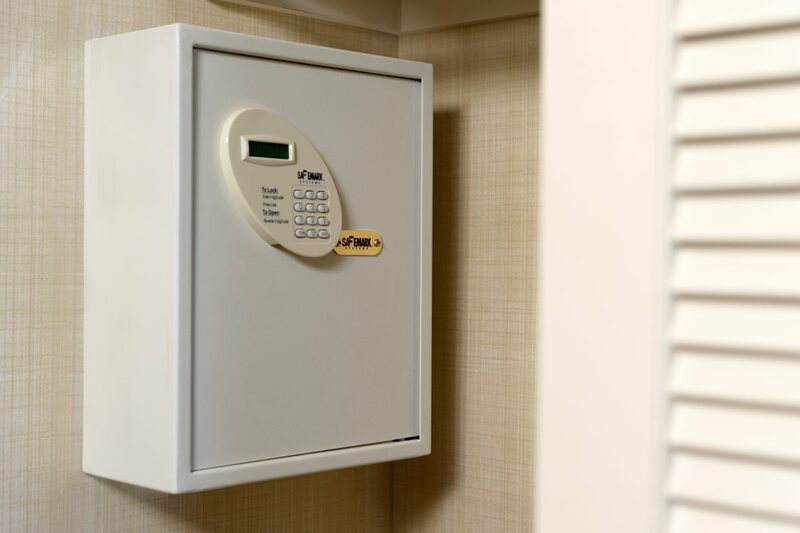 The room also has a visual alarm, and notification devices for the doorbell or door knock and incoming telephone calls. 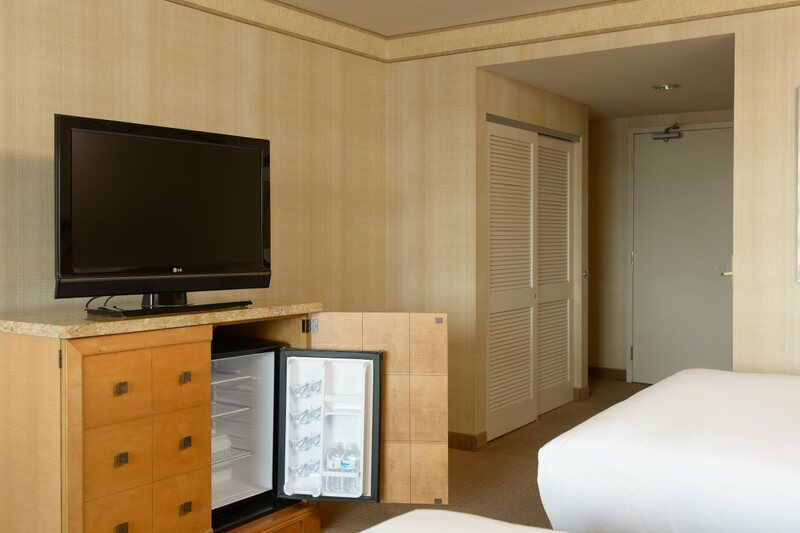 Rooms feature a 37-inch plasma HDTV, and Hilton alarm clock radio to customize your in-room entertainment experience. 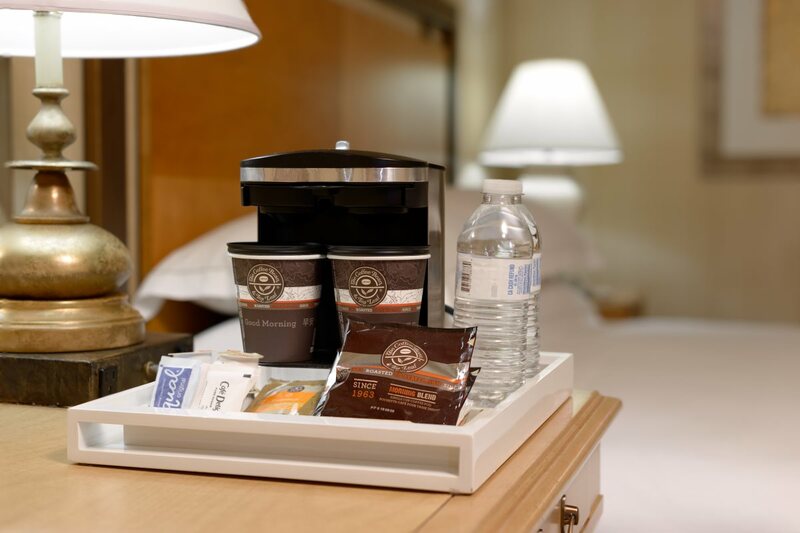 In-room technology includes an efficient work space to complete any unfinished business with ergonomic chair, extra outlets and complimentary internet or WiFi access. 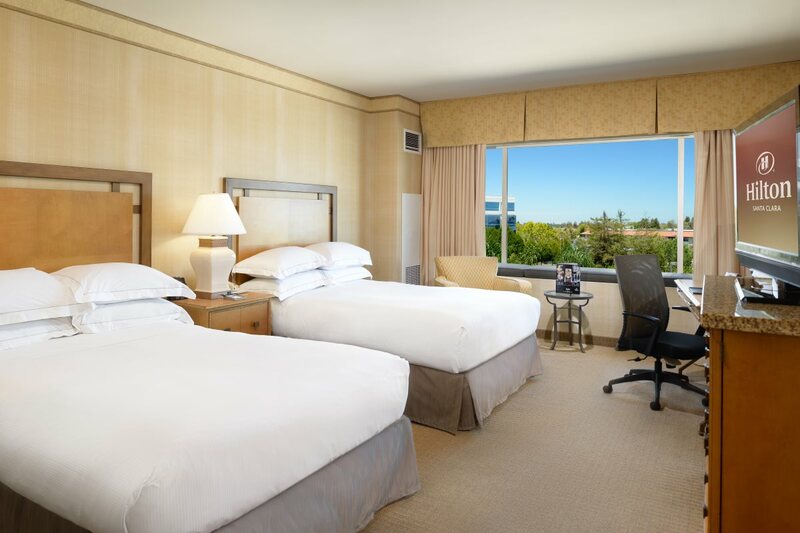 Our luxurious bedding with pillow-top mattress, down pillows and 250 thread-count linens provide a relaxing environment to unwind after a long day of meetings. Pamper yourself in our marble accented bathrooms with designer bath amenities. Any corresponding photo may not reflect the specific accessible room type or room feature.